Hersonissos Heraklion, Crete, is located about 26 km east of Heraklion city, between Anissaras and Stalida. 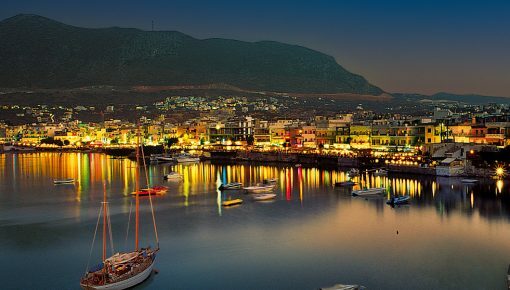 Because of its tourism, Hersonissos has been developed as one of the most famous resorts in Crete in just a few decades. Hersonissos village is called officially “Limenas Hersonissou”, which means “Port of Hersonissos”. About 2 km south of Hersonissos lies its coastal side which has been constantly developing since 1960. 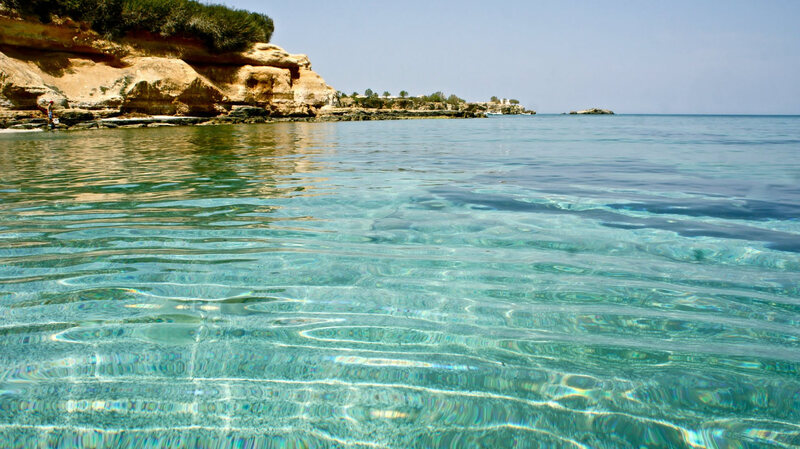 Hersonissos combines a variety of characteristics that can offer you unforgettable moments. Entertainment, beautiful and lively beaches, several shops selling souvenirs, clothes and jewelry among other, restaurants offering traditional and national cuisines, cafeterias, bars and clubs for any taste. Hersonissos is ideal for family vacation. You can make your children smile with happiness by visiting the two water parks and the big aquarium “Thalassokosmos” in Gournes, by riding the “happy train” of the village for sightseeing or by visiting the two organized playgrounds of the village with restaurants and cafeterias. Hersonissos also disposes the unique golf course in all Crete. The area of Hersonissos in Heraklion has a beautiful coastline which offers many choices for swimming in picturesque, sandy beaches, of which, some are: Limanakia, a number of small beaches, one next to another, offering a variety of activities, the Naturists’ beach, a unique choice for naturists in the area, located in a charming place with fine sand and Stalida beach which lies in Stalida village; it is quiet with crystal waters, not so crowded and suitable for moments of relaxation. As regards your accommodation, you can find several luxury villas with private pool at the area. 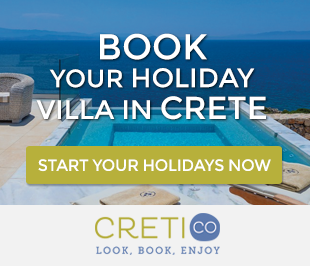 These holiday villa complexes along the coast of the village, offer you a charming sea view and the chance to enjoy your holiday in Crete in a comfortable space allowing you to have your private and special family moments. Different types of holiday villa rentals can also be found in the villages around. Koutouloufari, Piskopiano, Anissaras and Stalida are only some of these villages located only 1-2 km away from Hersonissos village. Posted on 21 Jul 2014 in Heraklion and tagged Beaches In Crete, Beaches In Heraklion, Hersonissos.